What kind of name is Hettena? It's a question I've been asked all my life and it's one of the main reasons I've decided to launch this blog. The short answer is: I don't know. The Hettenas were a family of Baghdad Jews who migrated to Egypt in the 19th century. In another branch of the family, the name was translated as Khettena, as seen in Victor Hettena's memoirs. And in yet another branch, a watchmaking family in Singapore, the name is Khatena. I have found records of Iraqi Jews named Khtaina or Khetaina. So, the first syllable in Hettena may be the hard have come from the Semitic letter כ (kaph) -- the hard k sound found in Arabic and Hebrew or it may be the letter ח (heth), usually transliterated as ch, with the sound coming from the lower throat. The letter ח (heth) is also found in many Semitic languages: Phoenician, Hebrew and Arabic. There are few Jews left in the Arab world today, but before the state of Israel, Jews like the Hettenas lived together with their neighbors for centuries. The rise of Islam in the seventh and eighth centuries put most of the world's Jews under Arab rule, a situation that lasted until the arrival of European powers. The Jews of Arab Lands adopted the language of their conquerors and many of their customs. My Baghdadi ancestors gave their daughters Arab names. My great-grandmother, born in Baghdad, was named Farha and her sisters were Tofaya, Massouda, Habiba, and Aziza. And yet another theory about the Hettena name is that it comes from Baghdad Jewish Arabic. Hettena may come from the word for in-laws in this Arabic dialect that many of my ancestors spoke. This language -- now nearly extinct -- sounds like a cross between Hebrew and Arabic. You can hear samples here. With the rise of Europe in the region, life for the Hettenas changed dramatically. Jews living in Arab lands were among the first to embrace Western culture and Western values. 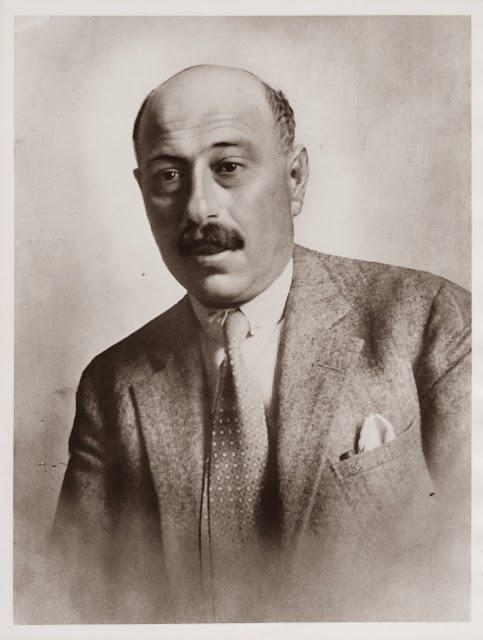 My earliest known ancestor named Hettena is my great-grandfather, Ezra, a cotton merchant born to Baghdadi Jews in Bombay in British India, a haven for Jews seeking their fortunes or fleeing persecution in Baghdad. I have not yet been able to find Ezra Hettena's birth records (or death records for that matter), but it's clear he didn't spend a long time in Bombay. He married Farha in Baghdad sometime in the 1870s and she bore him three daughters there. After the opening of the Suez Canal, the family moved to Port Said, Egypt in 1880 and then Alexandria and finally Cairo, where they settled. Along the way they had six more boys. Ezra's children show the influence of European culture on the Jews of Arab lands: My grandfather, the youngest of the nine children, was named Albert. His sisters were named Sophia, Emma and Fanny. Sophia spoke Italian, English and French in addition to Arabic. That's a pretty astonishing change: Farha and Habiba to Emma and Fanny in a single generation. Ezra Mordocai Hettena, my great-grandfather, was born in Bombay, India, probably sometime around 1850. The exact date is unclear. India was then under the British Raj, the dominion of the British Crown, so by virtue of his birth, Ezra became a British subject. At the time of Ezra Hettena’s birth, Bombay and Calcutta, the capital of British India, had become home to a new and thriving class of Baghdadi Jewish merchants. Jews began arriving in India from Baghdad in the 18th century, but the trickle of immigrants became a flood following the persecution of Iraq under the rule of Daoud Pasha. The history of Bombay’s Jewish community is inseparable from its most prominent figure, David Sassoon. Nearly all Jews in Bombay were dependent on Sassoon for their livelihood.1 He was Baghdad’s merchant prince and the head of Bombay’s Jewish community. By the end of the 1850s, it was said, "silver and gold, silks, gums and spices, opium and cotton, wool and wheat-- whatever moves over sea or land feels the hand or bears the mark of Sassoon and Company". So successful were the Sassoons that it became known among Jews of Asia that anyone in need of a job could find it in Sassoon’s mills. David Sassoon had opened a modest counting-house on Bombay’s Tamarind Lane in the early months of 1832. Sassoon cut a conspicuous figure on the streets of Bombay. 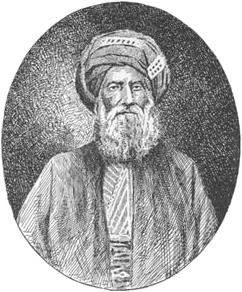 Tall with a long white beard, Sassoon dressed in traditional Baghdadi garb: flowing robes, a richly embroidered turban and leather slippers curling into needle-point. Sassoon was a deeply observant Orthodox Jew. It was a rule of the household that his family must never wear western dress lest they forget from whence they came. A room in the counting-house was set aside for daily prayers. It’s quite possible that opium is what brought Ezra’s parents to Baghdad. That’s not to say the Hettenas were using it or even selling it. But in Bombay, the big business was opium,2 and David Sassoon was if nothing else, a businessman. Nearly one third of Bombay’s trade revenues came from opium, and opium was the first and perhaps the biggest of the twin pillars of Sassoon’s success, along with cotton. David Sassoon & Co. was involved with opium from its earliest days, a fact that is often glossed over in fawning family biographies. Sassoon packed his son, Elias, off to China to pursue the opium trade in 1844, some 12 years after the family settled in Bombay. Chests full of opium were shipped off to feed the cravings of China’s legions of addicts. The drug almost single-handedly financed Britain’s rule of India. So lucrative was the trade that Britain went to war with China – twice -- to keep the opium markets open. Until Britain began importing Indian opium to China, silver had been draining out of Her Majesty’s Treasury to satisfy the country’s thirst for tea and Chinese silks and porcelain. Opium sent the silver flowing back to Britain, and into the pockets of Jewish merchants in Bombay like David Sassoon. Sassoon’s success in the opium trade continues to provide fuel centuries later for anti-Semitic rants from people who like to blame their problems on the Jews. The truth is that Sassoon did not monopolize the opium trade, as he is alleged to have done. It was far too lucrative for one person to control. Scottish companies like Jardine & Matheson played a bigger role, but no one likes to blame the Scots. It is true, however, that Sassoon did play a dominant role in what was seen even then as an unsavory business. Sassoon also traded textiles, on a small scale at first, importing English textiles in exchange for Oriental weaves, which he resold to English traders in India. He quickly discovered the advantages of taking payment in the form of goods, which he could then resell for a profit. Business at David Sassoon & Sons increased steadily until it became the largest Indian firm trading in the Persian Gulf. Sassoon was a name spoken with reverence. The Mrs. Sassoon who appears later in this tale (see Hettena v. Joseph) and plays matchmaker for Ezra's teenage daughter Sophia probably carried a bit of an elevated status due to her last name. Ezra was no doubt elated to marry his daughter off to a husband whose sister had married a Sassoon. The Baghdadis were not the first Jews to settle Bombay. They were preceded by a group of dark-skinned Jews known as the Bene Israel. The Bene Israel had been living in India for centuries. Over time, they had come resemble their non-Jewish Hindu neighbors in appearance and customs. Initially, the lighter-skinned Baghdadis saw the Bene Israel as long-lost, somewhat backward cousins. The Sassoons openly demonstrated their loyalty to the Crown. During the mutiny, David Sassoon offered to assemble and equip a Jewish Legion in the event of civil war. Afterward, Sassoon allowed his sons to wear western clothes as often as they wished “so that it may be known on which side you are.”6 The Sassoons flew the Union Jack and all pupils in the schools Sassoon established were taught to sing “God Save the Queen” in English, Hebrew and Arabic. It may be that Ezra Hettena’s Anglophilia was nurtured in his birthplace. The U.S. Civil War set off a frenzied demand for Indian cotton to replace the lost supplies from the American South. In the next five years, until Lee’s surrender at Appotamax, something like £80 million of new capital poured in Bombay. 7 And when the market collapsed at the end of the war, the Sassoons were diversified enough to survive and emerge even stronger. For those Baghdadi Jews working for the Sassoons, opportunities for advancement were limited. “Many an ambitious employee, even when related to the family by marriage, would discover painfully that ‘David Sassoon & Sons’ meant precisely that,” wrote family biographer Stanley Jackson.8 To seek their fortunes, Baghdadi Jews like Ezra Hettena would have to venture out on their own. 4 The Sassoon Dynasty, Cecil Roth, p. 60. 6 The Sassons, Stanley Jackson, New York, Dutton, 1968, p. 36. In December 1892, British newspapers were filled with excited reports from a court hearing in Manchester, England. The case of Hettena vs. Joseph involved an unusual marital dispute between Baghdadi Jews that gave Victorian England a titillating peek inside the Jewish bedroom. The lawsuit had been brought my great-grandfather, Ezra Hettena, and his teenage daughter, Sophia. The defendant was Eliahoo Joseph, a Baghdadi Jew who had been betrothed to marry Sophia. Yet it was only after Sophia promised to Joseph did the Hettenas learn the humiliating truth: her fiance had a wife and three children in Baghdad. The Hettenas sought £5000 to cover the costs of the dowry Joseph received and their expenses from chasing him across Europe. They also wanted revenge. "We want to break his neck," Sophia told an interpreter for the court. By 1890, the Hettenas had moved to Port Said, Egypt. Ezra Hettena was a cotton merchant and the opening of the Suez Canal in 1869 had opened up new opportunities for merchants like Ezra Hettena. By virtue of his birth in Bombay in British India, Ezra was a British subject. And as a British subject, he was subject to British law. He could bring a case in foreign courts and thus avoid the notoriously corrupt and inefficient Egyptian courts. So, the case was brought in England and the record survives. 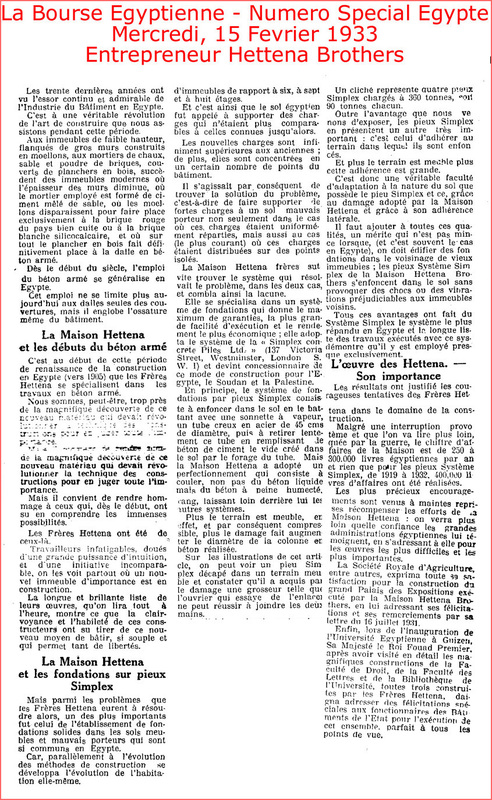 What's more, the case was sensational, so the newspapers provided readers with detailed reports. The Manchester Times and the rival Guardian newspapers each devoted nearly an entire page to the hearing and covered all the appeals. Their accounts were picked up as far away as New Zealand. From a genealogical point of view, it's a treasure trove of information about my family. I learned things that would have otherwise been lost to time: what languages they spoke, how they acted, and to some degree, who they really were. The story begins in 1890, when a Mrs. Sassoon passed through Port Said, Egypt on her way back to England from Baghdad. In Port Said, she met the Hettenas, fellow Baghdadi Jews who were newly arrived Egyptian immigrants. Mrs. Sassoon was struck by the eldest daughter, Sophia, then 16. When she returned to Manchester, Mrs. Sassoon told her brother, Eliahoo Joseph, about the young girl she had discovered in Egypt. Messrs. E. Joseph and Co. The letter was written in French with a copy in Italian, "no doubt sent by the plaintiff to show off her accomplishments," the Manchester Times correspondent wrote. Arrangements for a wedding were made. The Torah makes Jewish marriage into a two-stage process. The first step is "kiddushin," and the second step is known as "nisu'in." Kiddushin is commonly translated as betrothal, but actually renders the bride and groom full-fledged husband and wife. After this point, if the couple decided to part ways, a "get" (Jewish divorce) would be required. However, the bride and groom are not permitted to live together as husband and wife until the second stage, the nisu'in, is completed. On April 24, 1892, a kiddushin was held. Joseph signed a power of attorney and sent it to Port Said along with a diamond ring, fulfilling the custom that a Jewish groom provide something of value to his bride. The chief rabbi of Port Said stood in for Joseph during the ceremony. Sophia then turned her attention to the forthcoming nisu'in in Paris. While Sophia ordered an elaborate wedding gown, Joseph invited his betrothed to meet him in Paris at the Grand Hotel, reminding her to bring all her jewels with her. Her father sent along two cases of her dowry filled with valuables worth several hundred British pounds. I have received your very honored letter in English. I know how to read it, but I can't understand anything. If you write me in English, you know, I will not answer you. As you say, you will wait for us in Paris. It is very difficult for us to go as far as Paris, because mother and I are coming. My father cannot leave the children and come with us. If you wish to please us, come to Marseilles and take us. S HETTENA"
Sophia, accompanied by her mother, Farha, set out for France on the 15th of June. Upon arrival in Paris, they were met by Joseph who took them to the Grand Hotel and showed them the rooms he had taken for them. According to the Manchester Times' detailed account of hearing, Sophia's mother complained that her room was too small for all of them, whereupon Joseph explained he had booked another room for Sophia and himself. "You are not married yet," the mother told him. "But the rabbi has consecrated us," Joseph responded. "That does not matter," Farha Hettena replied. "You will have to be married according to the law of this country before you can occupy one room." And then the truth came spilling out. "I can't do that," Joseph explained. "I am a married man." Joseph said it was the custom in Turkey and France for couples to live together without being married, except by betrothal. But Farha Hettena was no fool. She said she wanted to check this story out with the rabbi or consul in Paris the next morning. Joseph said he would go with them. The trial was held in the Nisi Prius Court at the Manchester Assizes (a court that no longer exists). Farha and Sophia appeared in court and each gave their testimony in Arabic, as did Joseph, who insisted that the Port Said ceremony was a marriage and he had told Sophia's father about his wife in Baghdad. Ezra Hettena was conspicuously absent from the proceedings. A key point for the defense was what whether Ezra Hettena, Sophia’s father, knew of Joseph’s family in Baghdad. Joseph claimed he had told the father when the two men met in England in 1891. In cross-examination, Farha Hettena conceded that her husband had arrived in Manchester about two weeks before the trial. He had parted company and Farha said did not know exactly where he was. If Ezra did know of Joseph’s Baghdad family, his wife said he never told her about it. The jury found for Sophia Hettena and awarded her £1350, not quite the £5000 the Hettenas were seeking but still quite a sum at that time. The announcement was received with applause. Joseph appealed the case, and lost again. "I have come to the conclusion the defendant was a scamp," the Master of the Rolls (senior judge) declared in dismissing the appeal. Meanwhile, Joseph’s creditors had been nervously watching the proceedings. After the appeal was dismissed, Joseph’s creditors moved to collect their debts. One immediately filed a petition to collect the £425 owed to him. The Calf Hey Mill Company, which wove fabric with its powerlooms, served a writ seeking £266. In June 1893, Joseph offered Sophia a divorce. He also said that Ezra Hettena owed him £575, which Joseph said he would waive. “Without the said compromise,” Joseph wrote, Sophia “will be unable to recover anything.” Sophia assented. Joseph granted her a divorce under Jewish law. Jilting Sophia Hettena would ultimately cost Joseph £3,000, most of it in attorney fees and court costs, which pushed him to the brink of bankruptcy. He managed to stay in business but only for a few years longer. Given how things turned out, Sophia should have been thankful. She nearly married a complete scoundrel. Joseph declared bankruptcy in 1902, was convicted of libel the following year and sentenced to two years in prison with hard labor for conspiring to blackmail a Manchester merchant. He was convicted of living openly with unmarried women (a veiled reference to prostituion). Sophia was lucky to have escaped with little more than a lightly tarnished reputation. While they tried to sort out the marriage to Eliahoo Joseph, Sophia Hettena and her mother, Farha, spent 18 months in England. And when they finally returned to Egypt, Farha and Sophia left something precious behind. Members of Manchester’s burgeoning Sephardic Jewish community had taken pity on Farha and Sophia and come to their aid. Salom Attal, a Moroccan Jew by birth and a naturalized British citizen, helped them find an apartment and paid their expenses in Manchester. Evidently some deal was struck between the Hettenas and the Attals. For when Farha and Sophia returned home to Egypt, with Sophia free from her obligation to Eliahoo Joseph, one member of the family remained behind. Isaac Hettena, the 3-year-old boy who had accompanied his mother and sister, would spend the rest of his childhood and his early adult years in Manchester. He attended the Manchester Jewish School and served in the British Army during World War I. The city would be his home for much of his life and is today his final resting place. My father was never told why uncle Isaac had been separated from his five brothers and three sisters back in Egypt. Some said that it was a business deal, and the Attals were unable to have children. Young Isaac filled a void in the Attals life. The Attals were longing for a son of their own. When the Hettenas entered their lives in 1891, Attal and his wife, Simha, were mourning the death of their son, Joseph, who had died in infancy the previous year. For reasons that are not clear, Isaac would take his place. Whatever the case, the agreement had been reached between the Hettenas and the Attals quickly unravelled. 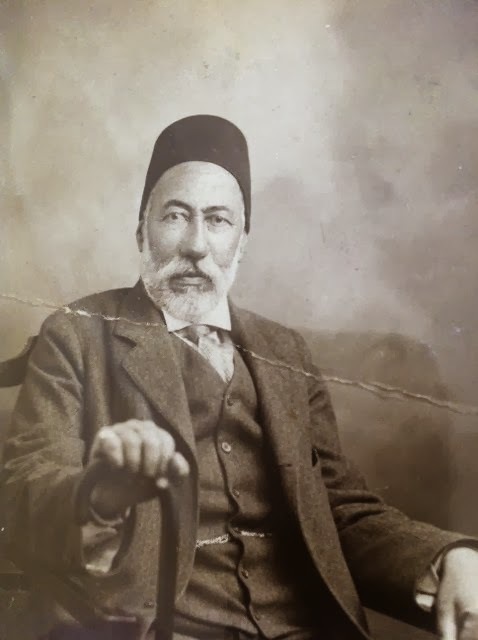 In 1897, while Isaac was living with the Attals, Farha Hettena sued Salom Attal in the British Courts of the Mixed Tribunals in Alexandria, Egypt and won a judgement of £740. The precise nature of the dispute is unclear, as the records have proved difficult to locate. Attal appealed and lost. Attal countersued Farha Hettena in 1900, and the records of this case did survive. The Hettenas had now moved to the more cultured city of Alexandria, home to the largest Jewish community in Egypt. Attal states that Farha Hettena has been pressing him to hand over the award, threatening him with a court order if he did not pay up. He describes Farha as “a pauper, or nearly so. (c) Fares to Alexandria Mrs. Hettena and daughter. £40. The court was not moved by this argument and ordered him to pay Farha what she was owed. On October 16, 1900, Attal signed over to Farha 10 shares of Egyptian Sugar & Land, a Scottish company. The company went into liquidation a few years later. Despite the lawsuit, young Isaac Attal grew up very much an Englishman. He remained up in the Attal home in Manchester at 237 Cheetham Hill Road. The 1901 Census of England lists 11-year-old Isaac as Attal’s son. The 1911 Census shows Isaac still living in Manchester with Simha Attal, his adopted mother, who was recently widowed. That same year, the 20-year-old Isaac married an Englishwoman, Ethel Cummins, and listed Salom Attal as his father on the marriage license. Isaac and two Englishmen formed business together called Issac Attal & Company and traded Egyptian cotton. At some point in his mid-20s, after he joined the British Army during World War I, Isaac Attal became Isaac Hettena again. He remarried and returned to Cairo, but his new wife, a native of England, did not approve. She hated life in Egypt and returned to England with her daughter. Isaac, a man with two sets of parents, was now torn between his wife and his family. Somehow he managed. When his wife left for England, Isaac remained in Cairo to be with the Hettenas. Issac was the favorite uncle of my father and his sister. When the Hettena Brothers were about to cut off support to my dad, his sister and their widowed mother, it was Isaac who stepped in to help. Isaac was an early riser and had a habit of visiting my father and aunt at seven in the morning for breakfast. He would ring the bell in rhythm as the signal for the household to get up and greet him.